A member of our website team, Christie Sietos, has written a treatise on Doris Day's impact on animal welfare. The pdf is provided below. Feel free to download this information or use it to advertise the many accomplishments that are illustrated throughout the article. In 1971, Doris Day appeared on Betty White's 'The Pet Set' show along with Bubbles, Tiger, Shutchy, Muffy, and Daisy June. During the filming of her show 'The Doris Day Show', Doris Day had the opportunity to combine her day job with her passion for the well-being of animals. Here is a compilation of clips that raise the issues of stray animals and irresponsible dog ownership. 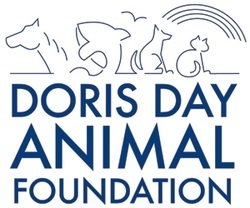 Please click here to donate to the Doris Day Animal Foundation!